Home > Free Samples Australia > Beauty Freebies & Free Samples > Request FREE LimeLight by Alcone Samples NOW! Request FREE LimeLight by Alcone Samples NOW! Get you hands now on the FREE LimeLight by Alcone Chemical Skin Care Samples! All you need to do is to click go to offer. You will get redirected to a google doc you need to fill out. It won’t take mach of your time. Hurry up! Available while supply last! Make sure you share this offer with your friends who love beauty products. Don’t forget to subscribe to the newsletter! 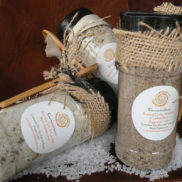 FREE Gourmet Salt Blends Sample! Request FREE Independence Australia Disposable Pads or Pant! !